While the rest of the country is still trying to shake off winter (what is up with snow in April?! ), our team is spending this week in sunny Orlando at the KEY2ACT Synergy Conference. Users are here to learn how to get more out their field service software through classes, hands-on training, and networking. We’ve worked with KEY2ACT to integrate XOi Vision™ platform to power See, a module within their MobileTech solution. And we’re excited to show you how this powerful integration will give your organization more of what your customers want. Let’s be honest—today’s new customers are quite a bit different than those we’ve dealt with in the past. Most of us built our businesses on repeat business from loyal, local customers. Now many property managers work in regional offices and may never meet our service techs in person. New customers don’t have existing loyalties and competing solely on price is a race to the bottom. How can a field service team set itself apart? In a word: More. Give customers access to more visibility on their service calls, delivering a more consistent service experience. Within 90 days of deploying “See”, Seattle-based MacDonald-Miller Facility Solutions (KEY2ACT customer) landed a huge national account based in part on the company’s use of video technology. With more than 1,000 employees, including 100 service technicians, MacDonald Miller is already a leader in the Pacific Northwest. But like every leader, MacDonald Miller is continuously challenged to stay ahead of the competition. Interest in the technology from prospective customers. Arista Air Conditioning Corporation (KEY2ACT customer) is the most trusted heating, cooling and refrigeration provider in the New York City metro area. 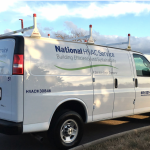 The company serves more than 3,000 commercial and luxury residential customers with hundreds of highly-trained field service technicians, 100 trucks and the latest technology. In New York, competition among HVAC providers is intense. Commercial and residential customers have often suffered through shoddy work and unresponsive customer service with other HVAC companies. These customers don’t trust a new service provider easily. As a result, Arista Air Conditioning wanted to do everything in its power to create deeper, more trusting relationships with its customers. The company supplied technicians with wearable video technology using the XOi Vision™ platform. Technicians wear smartglasses and generate photo and video documentation of every service call for Arista’s customers. Evidence-based video collection elevates the customer service experience to an unparalleled level by enhancing communication, optimizing record-keeping, and providing technicians with easy, immediate access to the collective experience of the company’s technicians. Contact us to learn more about our See integration and the KEY2ACT/XOi 30-day pilot where you can see for yourself just how seamless the integration is. Want to schedule a live demo to see how the KEY2ACT integrations works? Click here and fill out the demo form. Ashli joined the XOi team in early 2018. She’s no stranger to the blue collar industry and as a tech-savvy millennial she was instantly intrigued by XOi's mission. Her marketing passion is sending the right message at the right time to the right audience. And with the blue collar industry facing the skilled trades gap, she believes now is the right time for XOi’s Vision.